Fine Decorative Blue Pottery Six Drawer Available In Different Designs & Sizes. 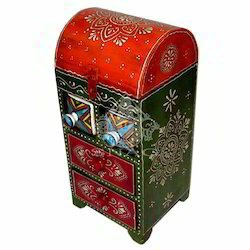 We are a unique name in the market to provide our honorable customers an exclusive range of 3 Drawer Designer Cabinet. 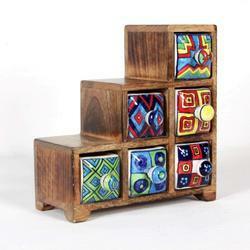 Indian handmade wooden drawer. Beautifully crafted and designs made on it with a piece of clothes.